46deluxecoupe has no other items for sale. The Altec Lansing MZX106W in-ear headphones provide stunning audio quality and elevate your multimedia experience. 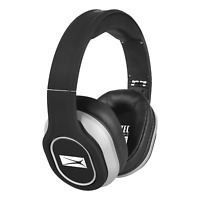 These Altec Lansing headphones feature Neodymium micro-speakers that offer crystal clear sound. 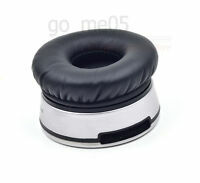 What’s more, these headphones are fully compatible with your iPhone, iPod, or other MP3 player. Be assured to have immersive audio quality across all musical genres. I have many earphones ranging from $2 to $400. I love trying to find diamonds in the rough. Once in a while, you strike gold with less expensive earphones, however, this one was not one of them. This is the first set of Altec Lansing earphones that I have purchased. I would say that for the price they were decent, average, not bad, not great. They sound only slightly better then the earphones standard pair that comes with your Apple. I am sure the more expensive phones from Altec Lansing sound better then these, however, this doesn't leave much of an impression with me. The bass is weak, the mid's are ok, and the highs are decent. This pair of earphones does not do one thing well, it is average in every way, shape and form. This is probably not the up grade you would want for your stock earphones. 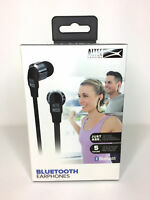 Spend a few more dollars and get a higher end Altec Lansing earphone.